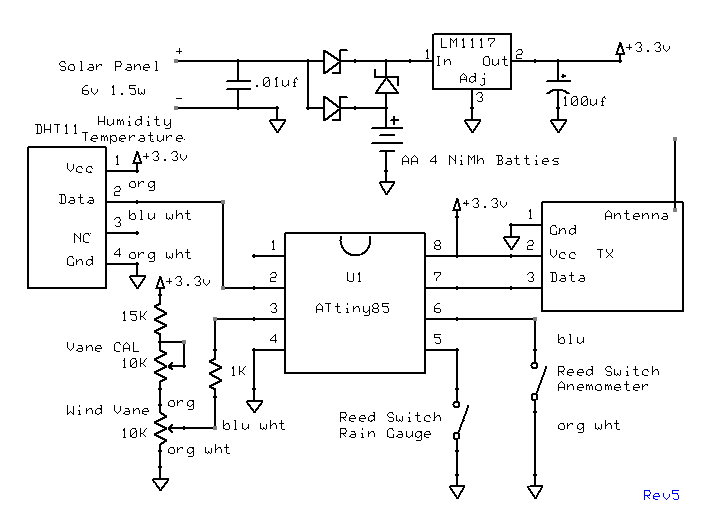 ATtiny Wireless Weather Station Remote Outdoor Unit | The Wonderful World of Microcontroller! 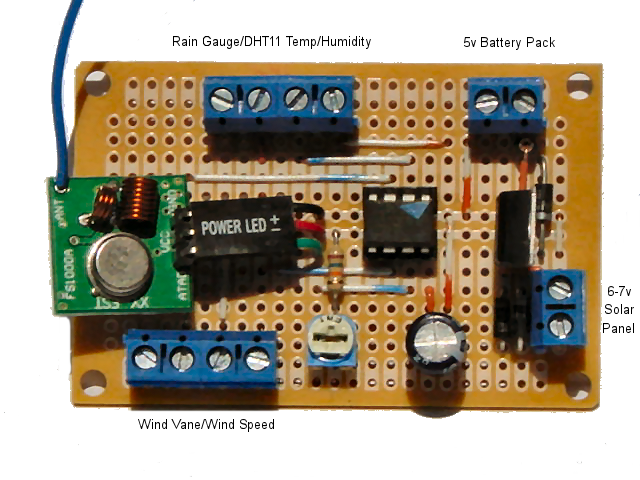 The Experiment: ATtiny Based Wireless Weather Station. 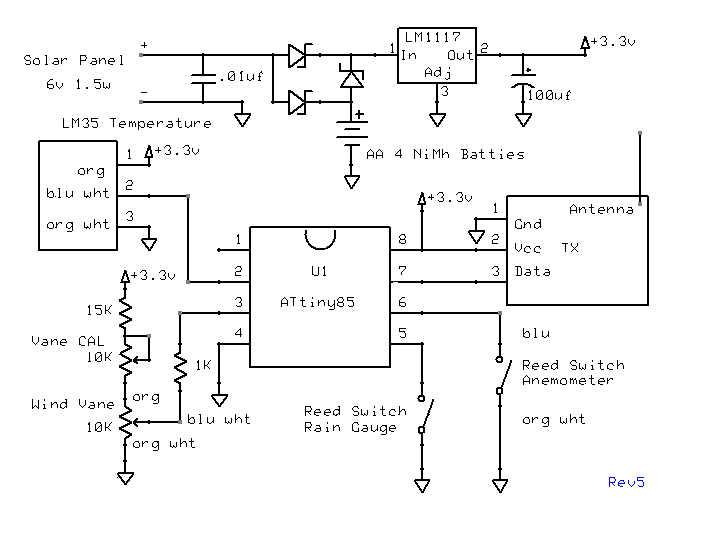 Build a 433Mhz wireless weather station remote outdoor unit around an Atmel ATtiny85 micro-controller, with the following sensors, Anemometer, Wind vane, Temperature, Rain gauge plus Solar battery charger. The challenge, the ATtiny85 only has 8-pins, 8KB ISP flash memory and pin1-4-8 are dedicated to Reset-GND-VCC. So the first thing to do, assign the available pins for each sensor. Mar 13, 2014: A lot of updates today Software and Hardware. Hardware reworked the Wind vane circuit installed a Vane CAL potentiometer to calibrate the wind vane. Rotate the Wind vane to (E) East should read 90 degrees and then West should read 270 degrees. That’s it for the Wind vane calibration. Notes: The above Vane CAL update tested with 3.3v Vcc with 1.1v (INTERNAL1V1) Ref, not been tested with 2.56v (INTERNAL2V56) Ref. 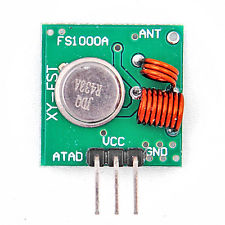 The 15k resistor / 10k potentiometer not needed with 3.3v Vcc and Vcc (Default) Ref .